Renault Pro+ commercial vehicles has unveiled details of its display of 13 vehicles on the stand at the CV Show next month, led by the Master ZE, the second all-electric panel van added to its range with deliveries starting before the end of this year. The Master ZE uses technology from the multi award-winning Kangoo ZE33 to offer customers a well-tested and reliable all-electric drivetrain, with a real world driving range of 74 miles – perfect for urban deliveries. The Kangoo Van ZE33 will also be making an appearance with a fridge van conversion. With its own bespoke power unit integrated into the van, the fridge unit does not draw power from the 33kW battery and therefore does not reduce the real world 124 mile range. Other highlights include a UK and Irish debut for the latest Trafic Camper Van conversion, with a pop-up roof, rotating front seats, solar panel and foldout bed just some of the features. The new Aluminium Tipper fitted to the Master double cab will also be on show, with the conversion weighing less than conventional steel-bodied tippers, the payload is higher. Renault Tech is the line of factory fitted conversions offered by Renault, on display from the range will be the Master temperature controlled Pharmaceutical delivery van. With legislation now demanding many pharmaceuticals are delivered by temperature controlled vehicles the addition of a factory fitted conversion to the Master range significantly enhances the customer proposition. 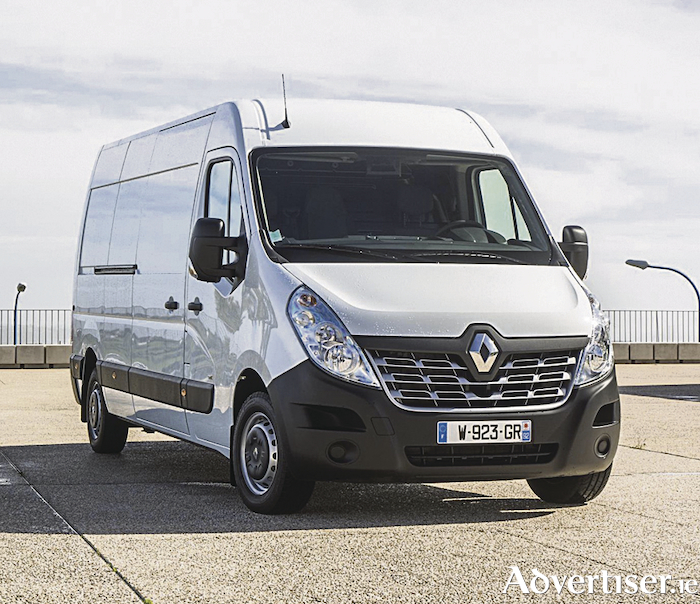 In addition, the Renault Tech Master parcel delivery van will make its first appearance in the UK or Ireland. With a walk-through bulkhead and racking designed in conjunction with UPS, this factory fitted conversion is ideal of parcel delivery companies. The Renault Pro+ Commercial Vehicle range includes the Twizy Cargo quadricycle, Kangoo Van, Kangoo Van ZE 33, Trafic and Master, as well as a wide range of off-the-shelf, and accredited, conversions.